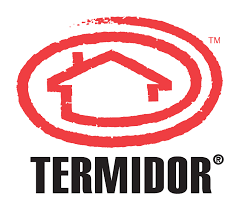 Effective on the type of termites that infest homes and businesses in Illinois and Iowa, Termidor is a professional termite defense product that catches these wood destroying insects unaware. It utilizes an advanced, nonrepellant, or “undetectable” liquid technology that termites cannot see, smell, taste, or avoid. Termites come into contact with Termidor, ingest it and share it with the rest of their colony, unknowingly killing the entire population. Regular follow-up inspections and monitoring are the keys to maintaining Termidor protection and controlling termites over time. Termidor is applied along the foundation walls or exterior perimeters of homes and businesses. Because it binds tightly to the soil, it creates what we like to call the “Termite Zone”. Undetectable to termites, they cannot avoid it. Termidor kills through the ingestion of treated material and also on contact. When a termite comes in contact with Termidor, they become carriers and transfer it to other termites they meet. Secondary carriers continue the transfer process so that it spreads throughout the colony, resulting in the complete elimination of the nest. With Quik-Kill Pest Eliminators and America’s #1 liquid termite defense working together to protect your home or business, termites and costly termite damage will be the last thing on your mind! Contact us today for more information.